of Jamaica Plain in Boston! 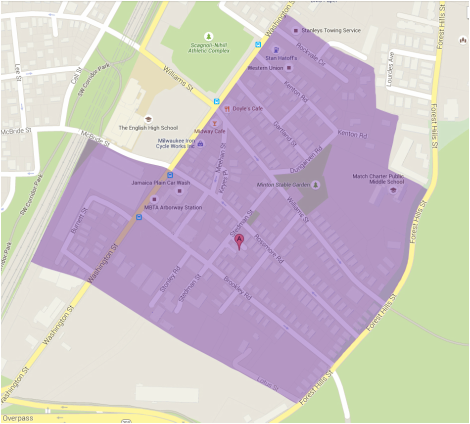 The Stonybrook Neighborhood Association (SNA) is a group of residents committed to meeting our neighbors and working together to address community issues. In addition to regular meetings, we have an online community to help neighbors connect with each other and share information. The Stonybrook neighborhood is made up of the following streets: Brookley, Rossmore, Williams, Gartland, Kenton, Shurland, Dungarven, Stedman, Plainfield, Meehan, Stonley, Lotus, Burnett, Rockvale Circle, and neighboring portions of Forest Hills and Washington Streets. Unless posted otherwise, meetings are held in the back room of Doyle's, 3484 Washington Street. Upcoming Meeting dates for 2019 ( All meeting held on Monday unless otherwise specified ). Please mark your calendar and join us for a year of community building and improving our neighborhood!